In a nest I have created under the duvet, tissues in hand, I have had time to reflect my outlook on life whilst I've been ill. I believe that in life things happen that are beyond your control, someone dying to dangerous weather. Things happen but life goes on. 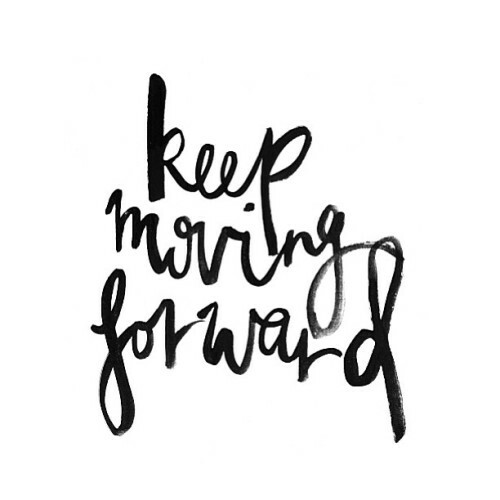 I strongly believe that our experiences make us who we are today, a stronger individual. You can't know happiness unless you've felt sadness and pain. And pain demands to be felt. In life I have seen and felt some horrible things and emotions, anxiety, stress, grief and general unhappiness, all rolled into one year. However now I think, why did I feel like that? Why did I let my emotions control my life in a negative way? Honestly? It's because I wasn't a strong enough person than I am today. This is because I never had to deal with exam stress or the death of a friend till then. Nonetheless if I didn't have an infliction of grief and anxiety, I wouldn't be living my life to the fullest. My friend passed away last summer, 2013, he was only 15 years old and it was caused by an accident. Although I wasn't close to him, like others, I still felt hundreds of emotions brewing in me. As time went on, I felt more pain and the realization, he wasn't coming back . I would cry, be angry at the world for such cruelty and feel guilty for my own happiness. However as time passed, I had a sort of epiphany, I decided a year later after his death, I was going to live my life in honor of him. I was going to live my life for anyone who couldn't live no more. As brutal and heart breaking a death is, whether its a family member, friend or pet, it can make you stronger if you let it. Our experiences make us who we are, sometimes they are happy, sometimes they are sad, but nothing will change, unless you choose too. Everything does happen for a reason, war for justice, fights for dominance, it's just sometimes, you need to dig deeper for that reasoning. 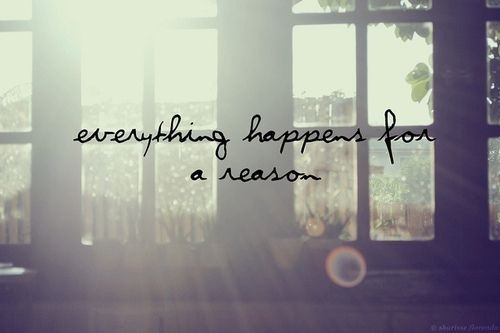 Because, everything does happen for a reason. The reasoning just takes time. Beautifull post! I completely agree that everything happens for a reason or why else would things happen in the first place. What happens in our lives is meant to be in order to shape us into the strong people that we become.